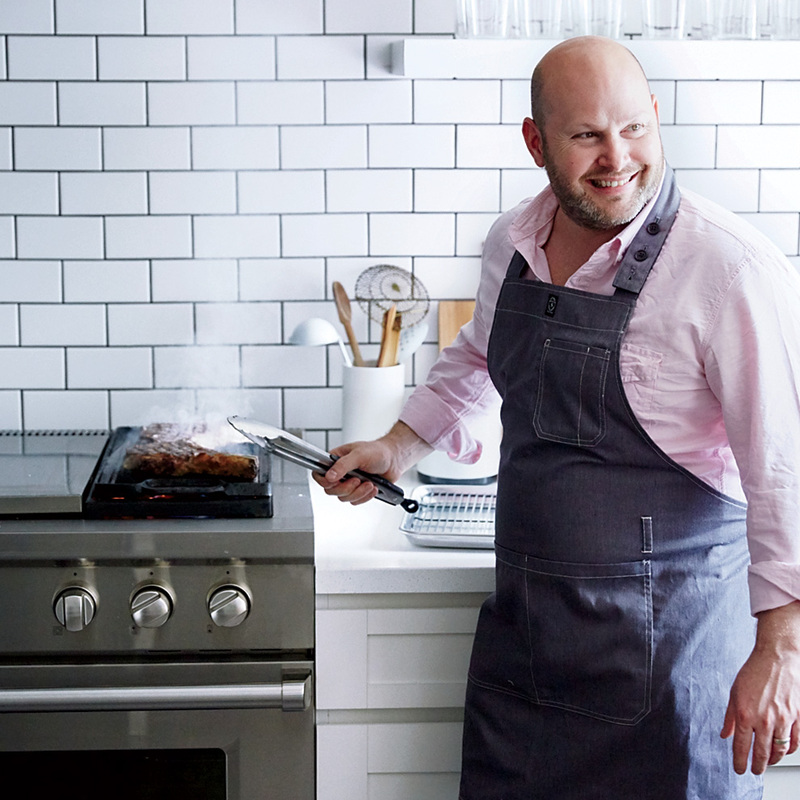 Dan Kluger, named an F&W Best New Chef 2012 at ABC Kitchen in Manhattan, is opening his own restaurant in Greenwich Village in early fall. 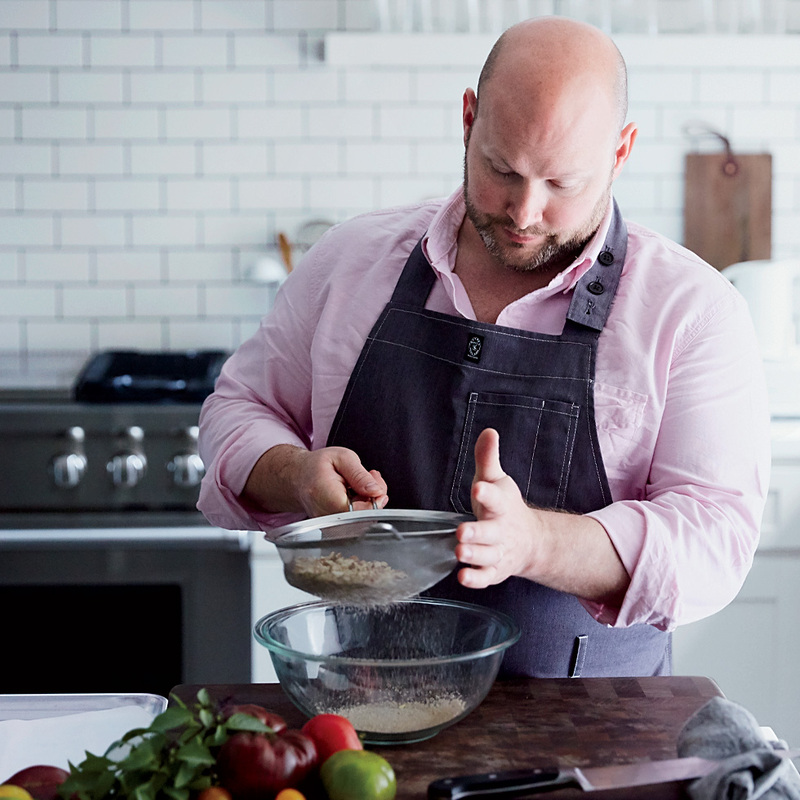 On the menu will be the simple, seasonal dishes for which he's known, including a paean to tomatoes and the quintessential grilled steak. Before frying, pass the nuts through a mesh strainer to get rid of the "dust," which tends to burn. 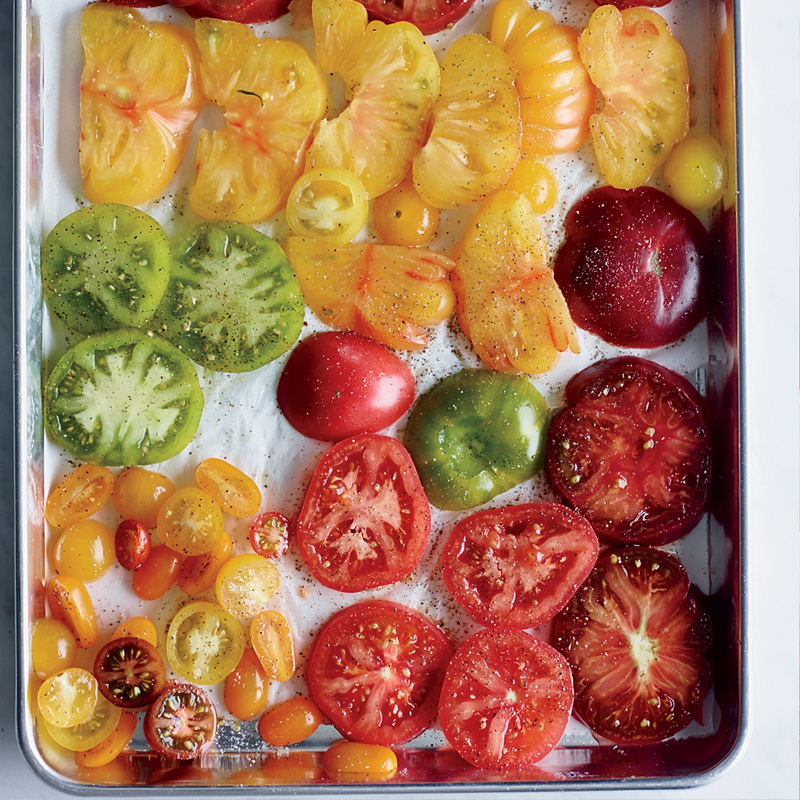 Season your heirlooms, then let them sit; this draws out the liquid and amps up flavor. Get the recipe for Tomatoes with Herbs and Almond Vinaigrette. 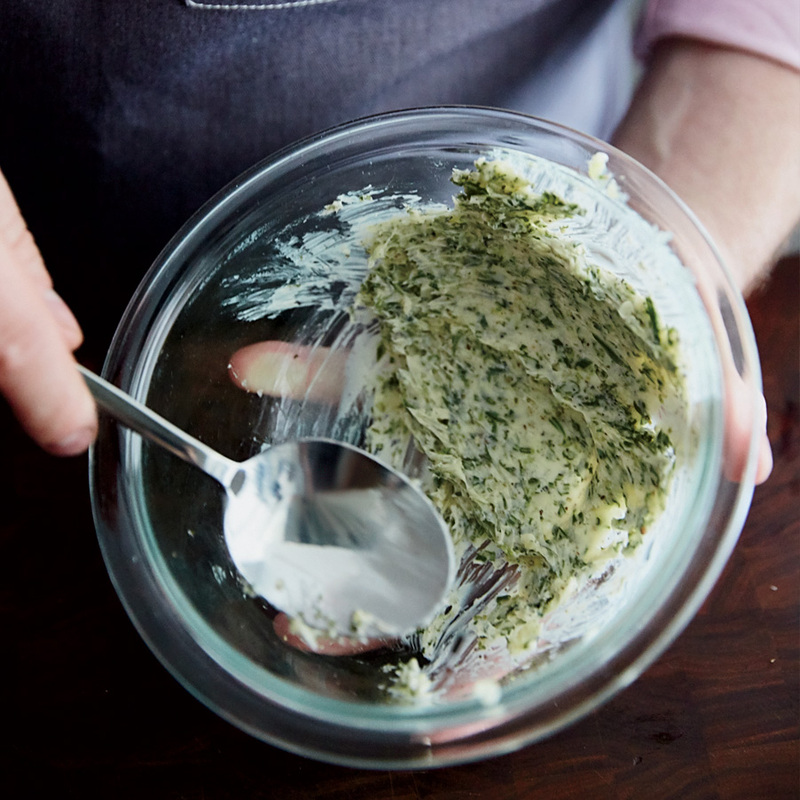 Use a sharp knife to chop herbs for this butter or you'll lose aromatic oils. Get the recipe for Citrus-and-Herb-Marinated Shrimp. Grill steak on its side. This method helps render a lot of the fat in a thick-cut rib eye. Smear herbed butter on cooked steaks, then flash grill over high heat. 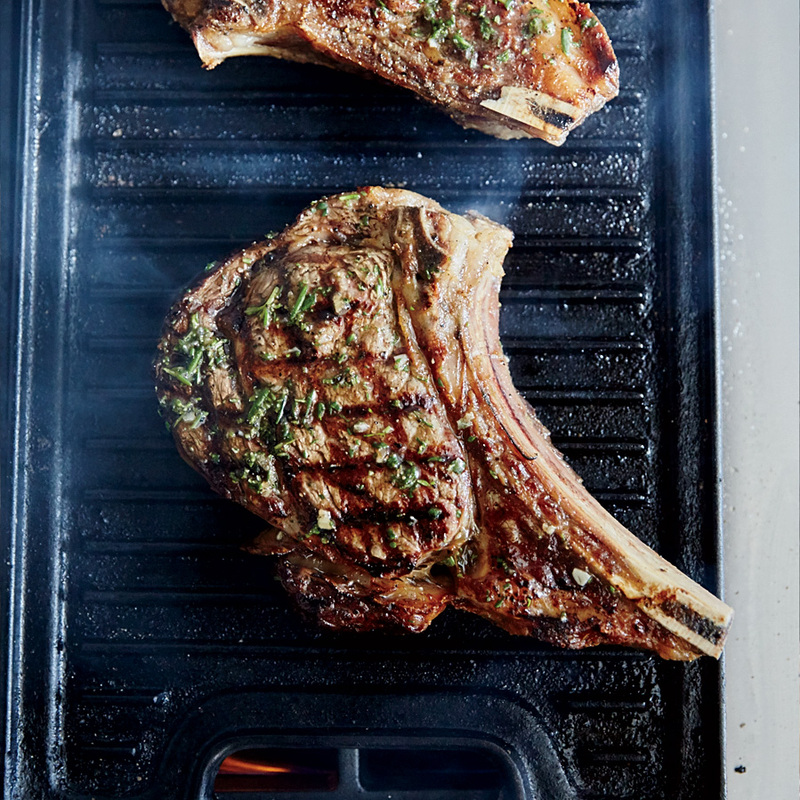 Get the recipe for Bone-In Rib Sye Steaks with Grilled Onion Jam.